The Detroit Creative Corridor Center (DC3) is developing an economic development and civic engagement strategy with the help of a $1 million grant from the John S. and James L. Knight Foundation. The DC3 stewards the City of Detroit’s UNESCO City of Design designation, which will play an important role in the center’s multi-year initiative. Using practices outlined by the UNESCO network, DC3 will work with the local community and creative industries to strengthen Detroit’s economy. The center believes that design is more than a simple luxury and that it plays a vital role in the socio-economic well-being in the city. DC3 engages designers from disciplines ranging from graphic design through architectures. “The Detroit City of Design campaign will include activities to raise public awareness about the value of design and creative industries, promote an international exchange of designers and ideas, and increase opportunities for Detroit’s creative community,” said Olga Stella, executive director of DC3 in a press release. “By breaking down silos between communities, business sectors, and creative disciplines, we will build a broad and diverse coalition to champion the role of design and creativity in driving equitable and sustainable development in Detroit.” DC3 will work extensively on a 10-year vision for the Detroit City of Design. The year-long planning process is supported by a $150,000 award from the Kresge Foundation. Another $100,000 award was presented by the William Davidson Foundation specifically to support the engagement of residents, creative practitioners, businesses, and local organizations. Along with the funding from the Knight Foundation, DC3 hopes to put Detroit’s design community in a unique position within the city and the country. “This initiative is a huge opportunity for Detroit to distinguish itself from other design cities by focusing on removing barriers to opportunity in Detroit’s creative industries and creating a benefit for the entire community,” said Katy Locker, Knight Foundation program director for Detroit. “We hope to advance a broad understanding of city design as a pathway for success, and demonstrate its impact on growing jobs and businesses, as well as creating the kinds of neighborhoods where people want to live.” Along with setting the groundwork a more robust design community, Detroit will be showcased internationally later this spring. DC3 and its partners, Creative Many Michigan and Akoaki, will all be a part of the upcoming Saint-Étienne International Design Biennial in Saint-Etienne, France, where they will present work internationally for the first time since the Detroit was named a UNESCO City of Design. The Biennial’s theme, the future of work, will guide DC3’s exhibition entitled Footwork: The Choreography of Collaboration. Curated by the Public Design Trust, the exhibition will examine the role of networked economies in Detroit. More than 40 Detroit design firms and organizations will be featured in La Biennale Internationale Design Saint-Étienne 2017. The 10th iteration of the international design show will take place throughout the month of March, and is entitled "Working Promesse." Detroit will be represented in three independent-but-connected exhibitions; the show has taken the future of work as its theme. Over 60 Detroiters will travel to France to present work, perform, and participate in panel discussions. A Detroit gift shop and “Detroit-style” coffee shop will be set up to serve Detroit dishes to the international crowd. One year ago Detroit was named a UNESCO City of Design, the first and only in the United States. 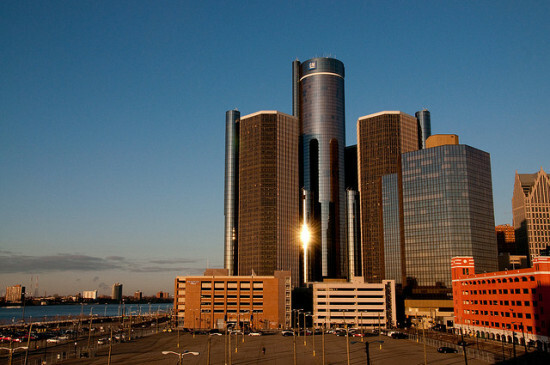 Since then, organizations have capitalized on the designation by raising the profile of Detroit as a center for design. One of those organizations—the Detroit Creative Corridor Center (DC3)—will play a leading role in the Biennale. “As a result of the UNESCO designation, we have this unique opportunity to elevate Detroit’s perspective to a global audience,” said Olga Stella, executive director of DC3 in a press statement. “This is just the beginning of future collaborations between Detroit and other international cities on the pressing issues that face our communities.” For the Biennale, DC3 will present Footwork, which will look at the unconventional collaborations between Detroit’s corporate, grassroots, and civic design organizations. 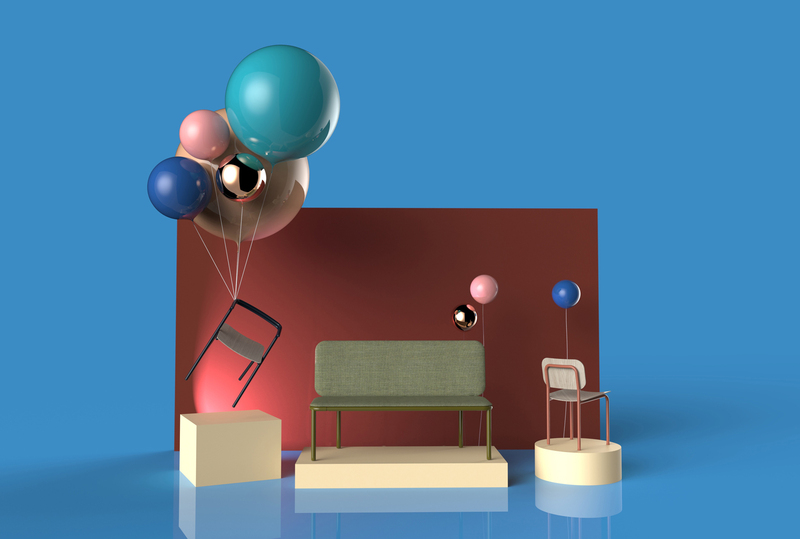 The exhibit will be curated by Public Design Trust and will include experimental processes and products including the upcycling furniture prototype Future Foam, developed by Thing Thing. Other work by students from the College for Creative Studies and collaborations with corporate groups such as Henry Ford Innovation Institute, Carhartt, and Detroit Bikes will be featured as well. Akoaki Studio will create a carte blanche exhibition entitled Out of Site, which will address how Detroit’s residents are reinventing how they live and work. In a series of full-scale installations, artist and musicians will work with DetroitAfrikan Music Institution and French musicians. La Biennale Internationale Design Saint-Étienne will be held in Saint-Étienne, France, from March 9th through April 9th. The Detroit Creative Corridor Center (DC3) has announced the schedule for the sixth-annual Detroit Design Festival (DDF). Entitled “Designing Detroit’s Future,” this year’s festival will highlight the city’s recent designation as a UNESCO City of Design. 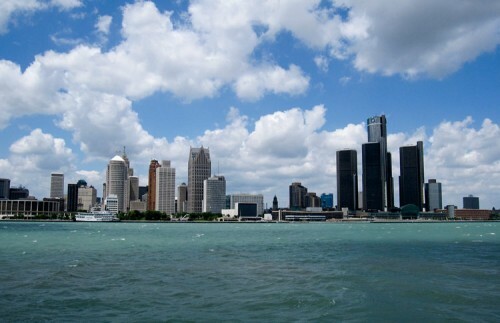 One of 22 cities named City of Design, Detroit is the only U.S. city with this designation, bestowed last December. “We are thrilled to host the Detroit Design Festival celebrating our new designation, Detroit City of Design,” said Melinda Anderson, DDF Creative Director. 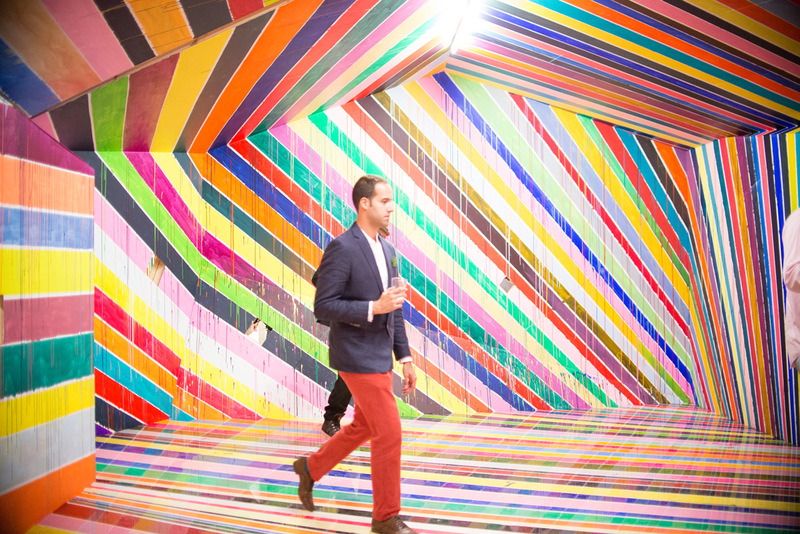 “[the festival] will also incorporate a new Design Summit where local and international leaders will help us further embrace and promote the design strength that resides in Detroit.” The five-day festival, open from September 21 to 25, will span across the city with installations, talks, and interactive events. 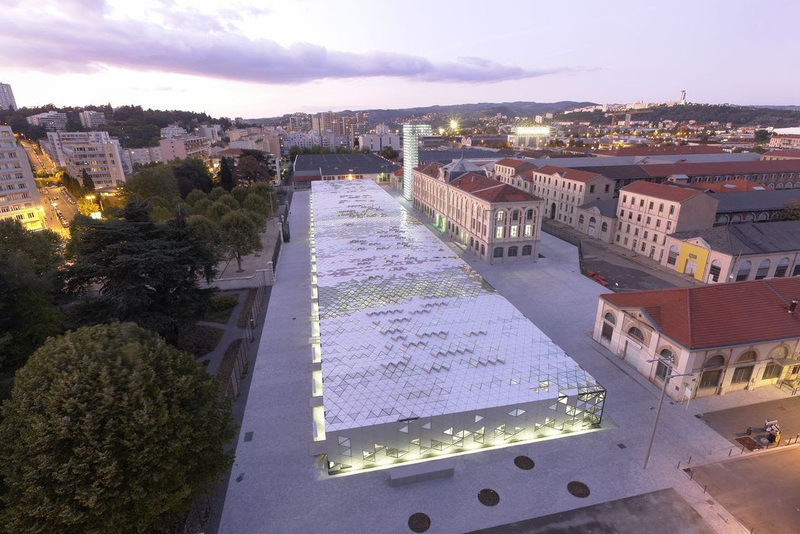 Before the full festival, though, a UNESCO City of Design event will be held on September 8. This will include a design crawl through some of the city’s many design studios. The full festival will include discussions and lectures at University of Detroit Mercy, University of Michigan, and Lawrence Technological University, as well as nightly performances throughout the city. Daylong workshops and demonstrations will also be happening each day of the festival. Wayne State University and the Museum of Contemporary Art will be hosting events and installations, while corporate sponsors Lear, Chrysler, and Ford will also host events throughout the week. Detroit Creative Corridor Center, the festival's presenting sponsor, is a partnership between Business Leaders for Michigan and College for Creative Studies. The mission of DC3 is to encourage economic development through Detroit’s creative sector. Since its inception, the Detroit Design Festival has hosted more than 500 design events in over 150 venues throughout the city. More than 100,000 attendees have engaged with fashion shows, lectures, installations, and exhibitions. 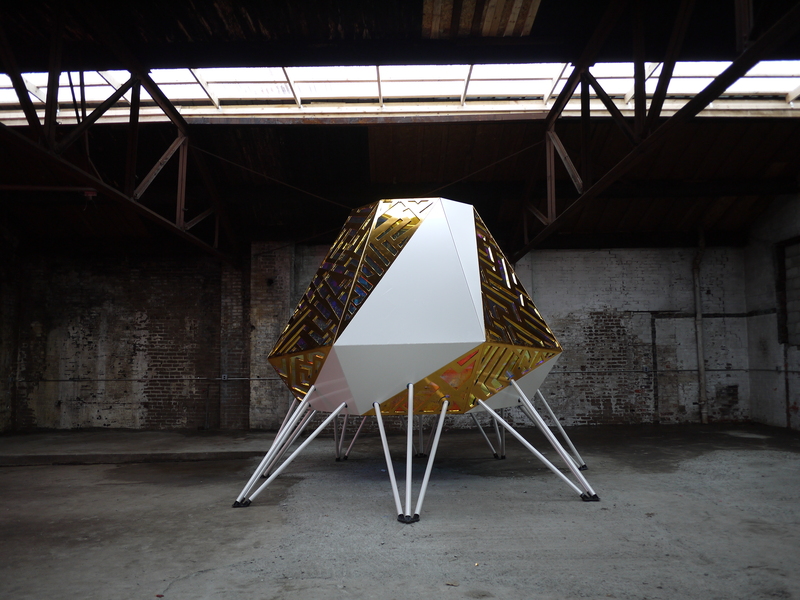 For more on the Detroit Design Festival, visit their website. Detroit has joined 16 other cities designated by UNESCO as a City of Design as part of its Creative Cities Network. Detroit is the first U.S. city to be named a City of Design, and one of only five other cities in the U.S. to be inducted into the Creative Cities Network. Detroit’s application for inclusion in the UNESCO program was submitted by the Detroit Creative Corridor Center (DC3), the creative industries advocacy organization responsible for the Detroit Design Festival. Detroit has seen a renaissance in its downtown, as it draws on its own historical background as a city of design and manufacturing. According to DC3, “Metropolitan Detroit is home to the highest number of commercial and industrial designers in the country.” This results in the creative fields being the third largest employer in Detroit, only behind healthcare and general business, with over 12,300 individuals working in the creative fields. As part of the application DC3 produced a film with local director/filmmaker Stephen McGee to highlight the diverse breadth of the Detroit design scene. The short film includes scenes of the much talked about Detroit watch makers Shinola, the quickly revitalizing Detroit Riverfront, Detroit-based architecture firm LAAVU, and the much lauded College of Creative Studies, along with over 40 other architectural and design highlights from around the city. https://vimeo.com/140651533 Founded in 2004, the UNESCO Creative Cities Network’s goal is to “promote cooperation with and among cities that have identified creativity as a strategic factor for sustainable urban development.” Along with design UNESCO recognizes cities for six other fields including Crafts & Folk Art, Film, Gastronomy, Literature, Music and Media Arts. Detroit joins 116 other cities, including this year’s class of 47 cities from 33 countries, as part of the Creative Cities Network. The Detroit Design Festival is underway, featuring 30 design events and 500 designers through Sunday, September 28. Panel discussions, art installations and flash-mob style gatherings are all on the docket for the six-day festival, which is sponsored by the John S. and James L. Knight Foundation. The Detroit Creative Corridor Center (DC3) launched the festival in 2011 “in an effort to develop the economic potential of the city’s design and creative talent,” according to a press release. Corporate sponsors like Toyota have teamed up with the local AIA chapter to celebrate designers both celebrated and unknown. Read more about the festival on its website, where you can also find a full schedule of events.